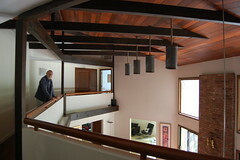 The Cool House: Feeling Creative? Support Seatuck! 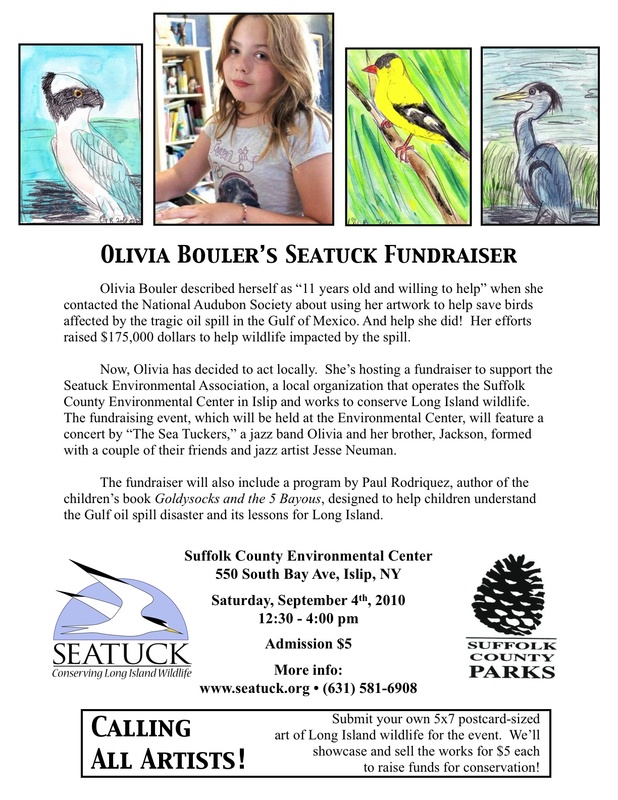 When Long Island schoolgirl Olivia Bouler heard about the Gulf oil disaster she set out to help and she did it big time raising over $175,000 to help affected wildlife. Now she is fundraising again - this time locally. 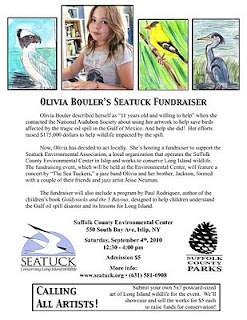 She and her family are holding a fundraiser on September 4th for the Seatuck National Wildlife Refuge in Islip, New York. She is asking all artists - and would-be artists - to submit a 5x7 postcard-sized bird image (painting, drawing, photograph, collage, mixed media) which will be displayed at the center and sold for $5. Remember artists of all abilities are welcomed so send your postcards in advance to Seatuck, PO Box 31, Islip, NY 11751.